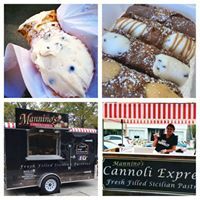 Im a Fan of Mannino's Cannoli Express... Are you? Fill in the below form and you can recommend ‘Mannino’s Cannoli Express’ to a friend or family member via a text message. Show your support with a quick share of ‘Mannino’s Cannoli Express’. Mannino’s Cannoli is by far the best cannolis that my family has ever tasted. They have an amazing taste and are made fresh every time we buy them. They have many different flavors to choose from. My family always goes looking for Mannino’s Cannoli at all the festivals. It’s our tradition now to get them when we go to the events. They have amazing service and always happy to see you! We also love that you can order them on the phone and they will deliver! What more can you ask for! best food around delicious and it’s all homemade you can never go wrong with any of her food. Best Canoli and the owner is fun and always creating new flavors!!!! Never disappoints!!! Best cannoli’s I’ve never had! Great service and love the variety of different cannolis they have to offer! The best cannoli cream I have ever tasted. The shells are to die for! By far the best cannolis this side of the country! If you’re looking for the absolute best, go to Mannino’s. You won’t be sorry! These cannoli are to die for! You can tell the difference between a regular cannoli and a great cannoli like these. Gabriella does a great job and always aims to please everyone! I’ve seen people get 2 flavors on one cannoli before! Best of both worlds. So damn good! She deserves to be the winner of this award because she puts her heart and soul into everything she does for this business. Variety of flavors. Always fresh. Totally awesome!!!!! Best cannoli’s I have ever had. Every flavored is better than anything you have ever had. Reasonable price. Owner is amazing to work with. TRULY THE BEST! The best cannoli I’ve had in a very long time so glad her truck was at Smithville Italian Festival!! Delicious!! Hands down best cannolis around and Gaby is the best! I wouldn’t have a cannoli from anywhere else other than Mannino’s!!!! Always fresh and always delivered with great customer service! Great people and quality products! Have ordered from this place for the last two years. The owner is so nice and the cannoli’s and cookies are a hit in our house. The best Cannoli I have ever had!! Gabby is awesome too!!! Amazing Cannoli’s and fantastic service! I was lucky enough to have eaten 1 (or 2). Delicious! Absolutely delicious!! Made by the best! My favorite & I can’t eat anyone else’s. I’m spoiled ! As a native New Yorker the cannoli is a household desert that’s often seen on many many tables, I have personally grew up on cannolis. Brooklyn New York, in particular is flooded with loads of Italian bakeries and everyone cannoli is different , but nothing compared to a New York cannoli…..or so I thought ! I was skeptical walking over to a food truck for a cannoli, but I said I’ll give it a try (I was impressed by the large size) I got an original and I can remember being almost confused. It was, in all honestly the best cannoli I ever had, beyond fresh, smooth and the shell (that I later found out were imported) were so crispy and crunchy! Well, before I ramble (haha) I will tell you mannions cannolis are number one across the board, the product, the service and the owner. It’s a true gem! The absolute best cannoli cream you will ever have. Using real ricotta there’s none that are even close in taste. Always filled to the max I think each cannoli weighs 1lb. Blueberry is my favorite they use real fresh blueberries! Yum! These cannoli\’s are amazing. The taste is phenomenal. They are always made fresh and the quality is remarkable. Honestly, I am a fan of deserts in general but once you have these cannoli\’s you won\’t go anywhere else for them. I\’ll forever be a customer. Gabby is also very sweet and charming! I suggest everyone go say hi and grab themselves the most delicious cannoli they have ever had in there life. 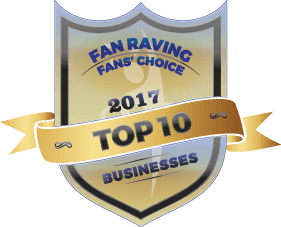 You\’ll be a fan for life too! I never even liked cannolis before I had them from Manninos!! They are amazing and they always have a variety of flavors to choose from which are all delicious. They really put their heart into their business and it shows. Best cannolis around!! They are the best cannoli I’ve had in a long time. The service as well is over the top along with delivery right to your home!!!!!! Couldn’t order from anywhere better they are MY #1 pick!!! Top of the line quality ingredients used! Mannino’s Cannoli have to be the best most authentic ones I have ever tasted! Great service and she always serves with a smile! 5 stars!